We run in house and off site fire training courses throughout London. Also Birmingham, Manchester, Yorkshire, South East and also East Anglia. In addition, we provide open courses in London which are easily accessed in Stratford, London. Book an open course and we will give you your course fee back if you book an in house fire training course within one month. Fire training in London as open courses, in house and also off site courses. Delivering fire training in Cambridge as in house and off site fire training courses. We provide fire training in Essex as open, in house and also off site courses. Fire training in Suffolk, Kent, Hertfordshire and Norfolk as in house and also off site fire training courses. 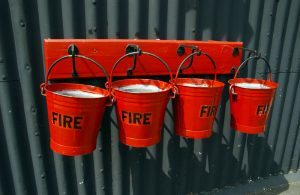 For fire training in Manchester, Birmingham and Yorkshire either call our team or send us an email. All of our training courses are accredited. We are an approved centre, so can adapt your course to include your fire plans, risks and also include live fire training. We can also support your in house and off site fire training courses with online refresher training. Persons on our courses will also receive a certificate of attendance and also online training notes. We can provide great references and full insurance details before our visit to your site. If we carry out a live fire training session, we will also need to carry out a risk assessment of the training area. Any number of staff can carry out our classroom sessions, but we do limit the numbers on outside session using live fire to twenty persons. We also base our fees on about ten persons tackling fires with fire extinguishers. For more details of our fire training courses either call us or email us.